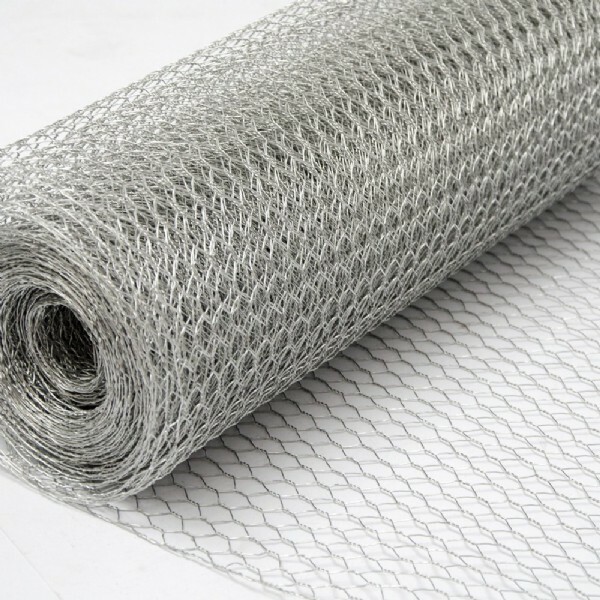 ﻿ Chicken Wire - Wire Mesh Fence - Anping County Zhuoda Hardware Mesh Co., Ltd.
Chicken wire, or poultry netting, is a mesh of wire commonly used to fence poultry livestock, such as chickens, in a run or coop. It is made of thin, flexible galvanized steel wire, with hexagonal gaps. Available in 1 inch (about 2.5 cm) diameter, 2 inch (about 5 cm) and 1/2 inch (about 1.3 cm), chicken wire is available in various wire gauges usually 19 gauge (about 1 mm wire) to 22 gauge (about 0.7 mm wire). Chicken wire is occasionally used to build inexpensive cages for small animals (or to protect plants and property from animals) though the thinness and zinc content of galvanized wire may be inappropriate for animals prone to gnawing and will not keep out predators. In construction, chicken wire or hardware cloth is used as a metal lath to hold cement or plaster, in a process known as stuccoing. Concrete reinforced with chicken wire or hardware cloth yields ferrocement, a versatile construction material. It can also be used to make the armature for a papier-mâché sculpture, when relatively high strength is needed.